1. 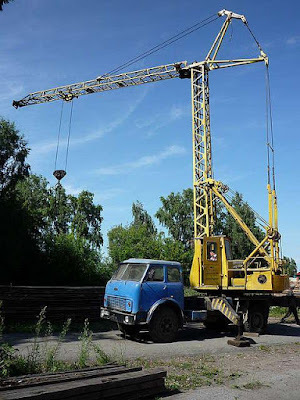 (1:13) Soviet MAZ-500 Truck with ABKS-5 folding crane, a true masterpiece of Soviet engineering. Blue and Yellow, manual. 2. 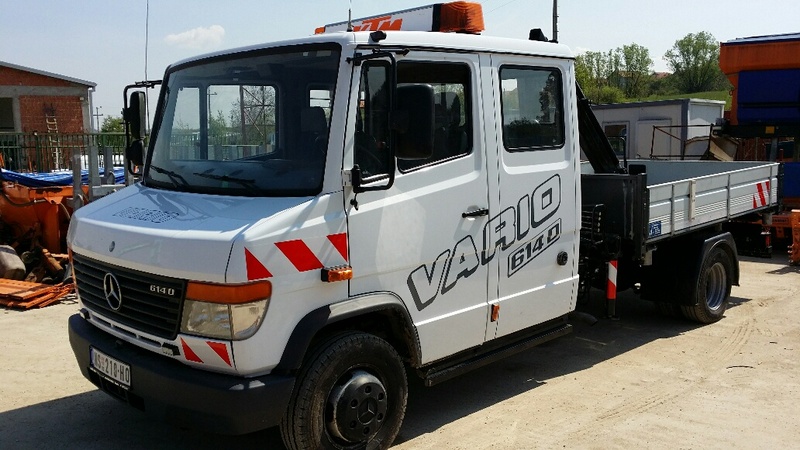 (1:13) German Mercedes Benz Vario Van with crew (long) cab, tipping bed and crane. 3. 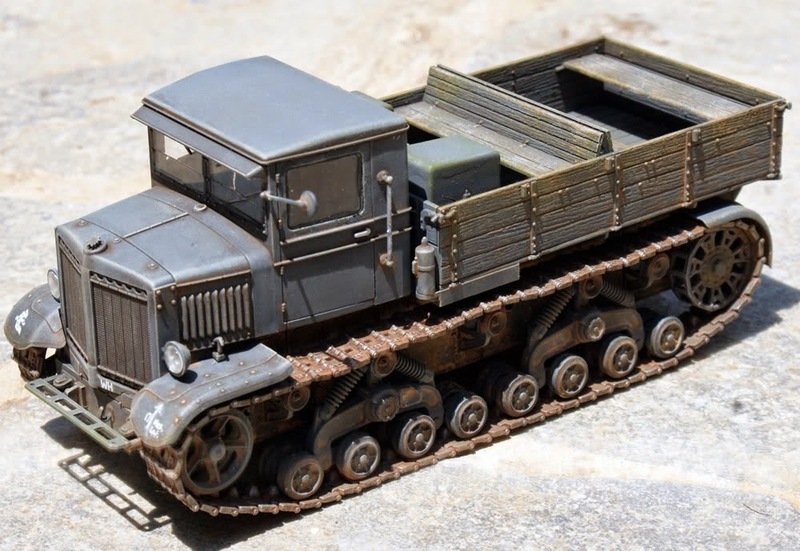 (1:13) Soviet Heavy Artillery Tractor Voroshilovets. Tan, motorized.